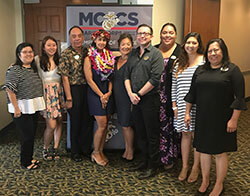 Looking for a DoD Civilian Career with MCCS? 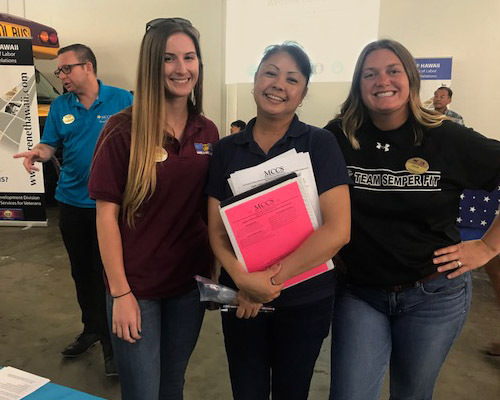 Marine Corps Community Services employs more than 900 people in retail, food and hospitality, fitness, child and youth activities, water safety, logistics and administration. For the latest postings click the link below for MCCS NAF Job Listings. Postings are updated weekly. 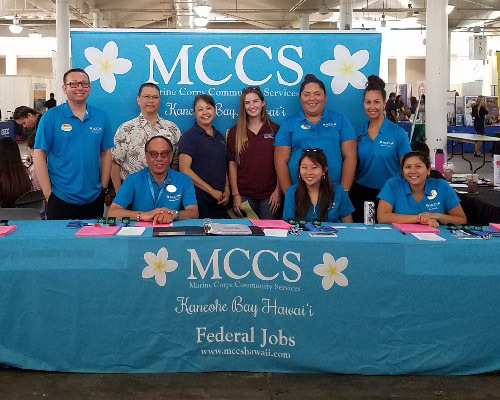 If you would like to speak to a MCCS Human Resources representative, please call 808-254-7632. To view job listings visit MCCS NAF Job Listings. The Retail Operations Division oversees all Marine Corps operated retail facilities including the Marine Corps Exchange, the MCX Annex, Military Clothing Sales Store, Camp Smith Exchange, Marine Marts, and numerous convenience stores located at K-Bay, Camp Smith and Manana Housing Area. The Food & Hospitality Division, as the name implies, oversees all food concessions, and hospitality operations including clubs, K-Bay Catering, The lodge and beach cottages at Kaneohe Bay. Food & Hospitality also oversees the K-Bay Theater, K-Bay Lanes, Tiki Island and the Kaneohe Klipper Golf Course. Semper Fit includes all Marine Corps Base Hawaii sports and fitness programming. This includes the Semper Fit gym, Aquatics including pools and beaches, varsity and intramural coordination, satellite gyms at the K-Bay flightline and Camp Smith, health promotion, and the Single Marine and Sailor Program. Taking care of our own is our primary concern. Our program encompasses parenting and children’s programs, relocation and employment assistance, counseling services, continuing education, and more. 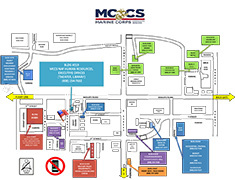 For additional information on MCCS employee benefits click here. Click on the job title. Not all announcements require the same information. Some may contain job-unique requirements or special documentation. Before applying for a position, ensure that you meet the experience criteria in the “Qualifications” section. When reading the announcements, also pay close attention to the “Type of Appointment” section. The Types of Appointment available include: Flexible – those serving in continuing or temporary positions up to 40 hours per week on either a scheduled or as-needed basis, Regular Part-time involving a minimum of 20 hours per week but fewer than 35, or Full-Time involving 35 hours to 40 hours a week. Flexible employees do not participate in the benefits program. Click on the Job Listings tab along the top and follow the instructions on that page to view the current Job Listings. Click the image above for a larger view of the map to HR.